Home » General Health » Walking the “Superfood” of Exercise? Walking the “Superfood” of Exercise? “Superfood” has become a common word in the English language. If you’re not sure what it means, basically, it’s a term used to highlight the nutritional value of certain foods. These foods usually possess high amounts of specific nutrients that keep you healthy, help fight disease, and are part of a healthy diet. There are certainly some “superfoods” I wholly agree should be a regular part of a healthy, balanced diet. They are pieces of quality nutrition that give you what you need. But when I heard that walking is the “superfood” of exercise, I couldn’t help but roll my eyes. So many fitness trends and “secrets” are created by marketers it’s hard to keep count. Unfortunately, these marketers are exploiting a term that’s meant to guide people toward a healthier diet and that’s what makes living a healthy, natural lifestyle so much more difficult. Physical activity is essential to health and human survival, and walking is the most basic foundation of movement. A sedentary lifestyle increases your risk of obesity and other chronic diseases, so getting active is essential to your overall long-term health. Walking alone will not eliminate these disease risks. Yes, I recommend walking or jogging or doing some other kind of cardiovascular activity every day. And if you’re sitting for an extended period, I’d say try to get up for at least five minutes every hour or so and walk around. But do I really consider walking the “superfood” of exercise? This is a hard question for me to answer. Walking can certainly be beneficial for your health. For example, a small study I came across recently showed that walking regularly can help fight against the damage done to your arteries after sitting for prolonged periods. But just like avocados and blueberries, the hard truth is that while walking can be good for your health, it is not a magical cure and it certainly has its limitations when it comes to health benefits. Walking may be one of the easiest forms of activity you can do, but it won’t help build muscle or improve your cardiovascular system. Weights and more intense cardio, like jogging, are necessary to accomplish those important goals, preventing disease and helping you to lose weight. 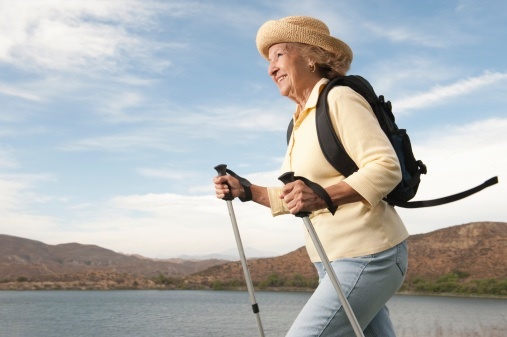 Nevertheless, walking is part of a healthy lifestyle. But you must remember that it’s just the start to making healthier lifestyle choices. So some simple habits you can form that will benefit your health—when combined with a healthy diet and regular cardio and weight training—may start with leaving the car at home and walking to your friend’s house, work, or the grocery store if possible. If you take public transit, get off a few stops early and walk the rest of the way. Finally, fit in a walk every evening. These small steps won’t provide all the protection you need against illness, chronic disease, and obesity, but they are a great start. Internicola, D., “Walking is the superfood of fitness, experts say,” Reuters web site, September 29, 2014; http://in.reuters.com/article/2014/09/29/us-fitness-walking-idINKCN0HO0PV20140929. Indiana University, “Taking short walking breaks found to reverse negative effects of prolonged sitting,” ScienceDaily web site, September 8, 2014; http://www.sciencedaily.com/releases/2014/09/140908083748.htm.